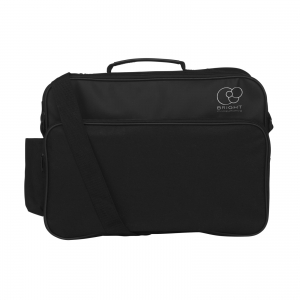 Chicago conference bag.Conference bag with adjustable shoulder strap, zip closure, phone pouch in side pocket and zipped front pocket. Also includes several pockets and pen loops. To order an unprinted Chicago conference bag, please complete the details below.